Kids will love learning about the planets in our solar system with this fun, pocket size FREE Planets Mini Book. They are a great reference for kids of all ages wanting to learn about the planets! Kids have a natural curiosity about our solar system. And kids learn best when they are learning about something that interests them! Satisfy their curiosity by teaching kids about the planets! 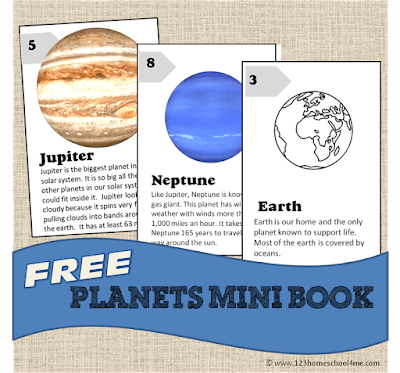 This simple, free printable mini book that will help kids learn what the 8 planets are and a little bit about each one. Just cut and fold to create this one-of-a-kind, pocket size, planets mini book. 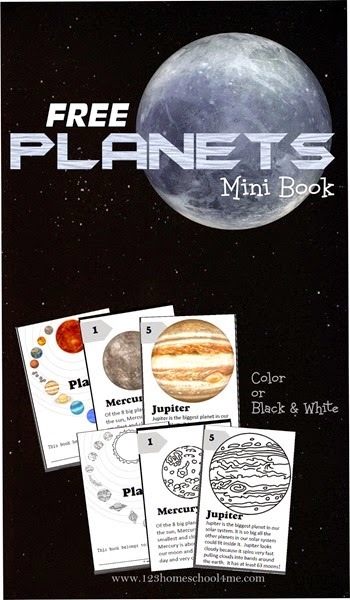 You can print the planets mini book in color or black and white. This is great for a unit on our solar system for homeschool science. 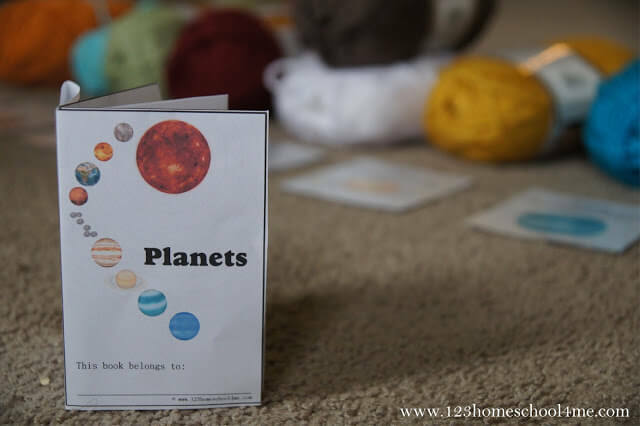 You can take a peak at our yarn solar system and the rest of our solar system unit for more great ideas and free printables.